Shy Dayan's creations draw inspiration from a legacy of jewelry that stretches over centuries. From this lineage, he creates pieces that meet the needs of the modern woman for both form and function. That is why Shy Creation features elegant designs that are fashionable yet suitable for everyday wear. Each piece is designed and manufactured meticulously to unparalleled standards in quality and beauty. That's why Shy Creation is a multiple JCK award winner. Shy Dayan and his sister Kathy have dedicated their lives to jewelry that is fun, beautiful, and inspirational, and to pursuing a standard of innovation in the jewelry industry. The Kate collection is named for Shy's sister, and its simple, bold lines are fun and quirky without ostentation – the look of everyday luxury. Eye catching designs loop playfully without overpowering. The Eden collection incorporates halo settings into sleek and timeless designs that feel flawlessly natural in boldly modern white, playful rose. or classical yellow gold. Covered in ruby or diamond, the result is a look of easy elegance. Shy Creation's Glittara collection accentuates the beauty of diamonds in every piece. The look of Glittara suggests the roaring 20's in bold loops and draping nets, with classic teardrop and cameo shapes abounding in an explosion of vintage femininity. The Eternity collection adorns every inch of its vintage-inspired wedding rings with diamonds in the eternity style. Its simple and pure aesthetic accentuates the eternal beauty of the stones. 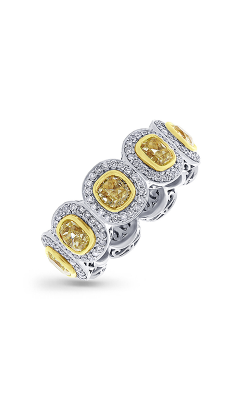 Meanwhile, the Fancy Yellow collection is inspired by the fun and beauty of the Fancy Yellow diamonds featured in every single piece. Each Fancy Yellow diamond is surrounded and augmented by white diamonds that create a dazzling display of fashion that is at once modern and classic. Why Shop for Shy Creation at Corinne Jewelers? In 1964, Mel Blumenthal followed through on a promise to put his wife's name up in lights with the opening of Corinne Jewelers. Three generations of Blumenthals have seen to it that Corinne Blumenthal's name continues to stands for exceptional quality and service. Family-owned and operated, Corinne Jewelers features jewelry from today's top designers as well as offering comprehensive jewelry repair services. 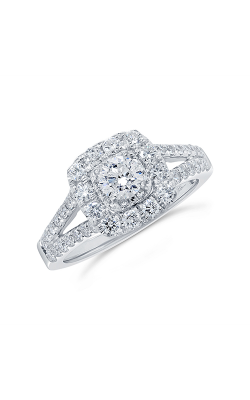 Corinne Jewelers offers custom jewelry design services using cutting-edge software in their Toms River, New Jersey showroom located conveniently near Bricktown, Jackson, Manchester, and Point Pleasant. That's in addition to offering a lifetime craftsmanship guarantee, a diamond buyback program, and complementary cleaning, polishing, and appraisal services.